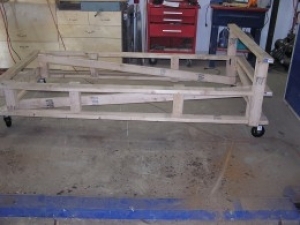 Homemade easy-to-make body trolley constructed from 2x4's and featuring casters for increased mobility. I didn't find that 2x4's felt strong enough. Couldn't prove it...just a gut feeling.